The British manufacturer Hikma Pharmaceuticals recently announced new rules to restrict the supply of its products for unintended uses, such as carrying out executions in the United States. Earlier this year, Reprieve, a legal advocacy organization based in London, found that a U.S. subsidiary of Hikma sold 100 grams of phenobarbital to the Arkansas Department of Corrections. Arkansas decided to use the new, untested drug in their lethal injection process when they were unable to secure supplies of the drugs they normally use. A spokesman for Hikma Pharmaceuticals said the order had been made as part of the regular request for drugs for prison hospital services and did not raise any red flags because the drug had never been used in executions before. Arkansas has been contacted by the drug company and told that the subsidiary was closing the account. The state's current supply of phenobarbital is sufficient to carry out eight executions and will expire in October 2015. The state will need to seek alternative sources or different drugs when their current supply becomes unavailable. Other drug companies have put similar restrictions on the use of their drugs in executions. The Arkansas Department of Corrections recently announced it will use a new drug, phenobarbital, for lethal injections. Phenobarbital is used to treat seizures but has never been used for executions in the U.S. Some experts are concerned that using drugs that are untested for this purpose could result in inhumane treatment. David Lubarsky, who chairs the anesthesiology department at the University of Miami's medical school, said, “People should not be using inmates as an experiment. And that is basically what this is. It's basically experimenting." Up until a few years ago, all states carrying out lethal injections used sodium thiopental as the first of three drugs in their protocol. States were forced to seek alternative drugs when the manufacturer stopped making sodium thiopental in response to objections about its use in executions. Oklahoma was the first state to employ pentobarbital, a sedative commonly used by veterinarians to euthanize animals, but that drug is now in short supply for executions. Last year, Missouri announced plans to use propofol for lethal injections, though the manufacturer of that drug has also restricted its sale. Arkansas also plans to use the drug lorazepam prior to the execution as a sedative. However, Jon Groner, a surgery professor at the Ohio State University College of Medicine, said lorazepam makes some people excitable, instead of relaxed. Controversies surrounding lethal injections continue in many parts of the country. In Georgia, the legislature passed a bill to classify the names of those involved in executions as “state secrets.” The bill requires the identity of any entity that “manufactures, supplies, compounds or prescribes” lethal injection drugs to be kept secret. In Arkansas, a state judge ruled that death row inmates cannot use the state's Freedom of Information Act to obtain information about the source, history, or quality of the drugs the state will use during execution. An attorney for the inmates claimed they should have a right to the information because of problems with drugs obtained in the past. On March 25, a federal appeals court heard arguments in a case involving death row inmates from across the country arguing that the Food and Drug Administration acted inappropriately in 2010 when it allowed some states to import lethal injection drugs from foreign sources. Eric Shumsky, an attorney representing the inmates, said, “This case is … about ensuring that illegal drugs are not used in carrying out otherwise legal executions.” Also recently, the Israel-based drug company Teva announced that it would resume manufacturing the sedative propofol, but would not allow its use in executions. Missouri has proposed using propofol for its executions. The Chief Justice of California's Supreme Court, Tani Cantil-Sakauye, said recently that she does not expect executions in California to resume for at least three years because of problems with the lethal injection process. California has already not carried out an execution in seven years. Justice Cantil-Sakauye said major structural changes to the state's death penalty are unlikely, and that a proposal by the former Chief Justice to speed death penalty appeals is "dead." That proposal would have had state appellate courts, rather than the California Supreme Court, handle appeals in capital cases. Such a change would require a constitutional amendment and greater funding for appellate courts. Those proposals have failed in the past. Californians narrowly defeated (52-48%) a ballot initiative to repeal the death penalty and put some of the money saved into solving cold cases. The state is spending an estimated $180 million per year on the death penalty. UPDATE: Execution stayed by federal court on Nov. 8 to allow time for appeal. Pennsylvania is planning to use drugs in an upcoming execution that are not regulated by the federal Food and Drug Administration but rather are made to order by a compounding pharmacy. A compounding pharmacy has been implicated in the deadly meningitis outbreak in the U.S. caused by contaminated drugs. In Missouri, the Pharmacy Board tested claimed drug dosages from compounding pharmacies from 2006 to 2009 and found that the pharmacies failed 1 out 5 times, with dosages ranging from zero to many times of what was prescribed. Compounding pharmacies in Texas failed to deliver drugs of the proper dosage in one-third of tests done there. This is crucial because an improper dosage could subject the inmate to excruciating pain. The state fought hard to keep the source of its drugs out of court, snubbing two federal court orders to divulge the information, finally complying at the last minute after the threat of sanctions. 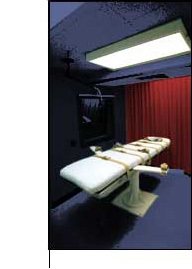 A federal class action suit has been filed challenging Pennsylvania's execution protocol. The suit could affect the execution of Hubert Michael, Jr., scheduled for November 8. The main supplier to the U.S. of a drug proposed for lethal injections has announced it will not allow the drug to be sold for executions. Fresenius Kabi USA, a German-based company with offices in Illinois, issued a statement forbidding the sale of propofol to correctional institutions for death penalty use. Earlier in 2012, Missouri announced it intended to switch to propofol as the sole drug in its lethal injection protocol, becoming the first state to do so. Fresenius Kabi officials reacted with a statement: “Fresenius Kabi objects to the use of its products in any manner that is not in full accordance with the medical indications for which they have been approved by health authorities. Consequently, the company does not accept orders for propofol from any departments of correction in the United States. Nor will it do so." Missouri, like most states with the death penalty, had been using sodium thiopental as the first drug in a three-drug protocol. Supplies of the drug expired or ran out, forcing states to seek alternatives. Some states replaced sodium thiopental with pentobarbital, but supplies of that drug have also dwindled after its manufacturer announced it will restrict the drug's sale for similar reasons. Read full statement from Fresenius Kabi. The United Kingdom has introduced restictions on the exportation of propofol after officials in Missouri announced they would begin using the anesthetic in executions. Exports of sodium thiopental, another anesthetic previously used in executions, were restricted after several states obtained that drug from DreamPharma, a drug company run out of the back of a driving school in London. Vince Cable, the U.K. Business Secretary, said, "This country opposes the death penalty. We are clear that the state should never be complicit in judiciary executions through the use of British drugs in lethal injections." The ban will not prevent export of the drug for medical purposes. Missouri is the first state to announce its intention to use propofol in executions. All executions in 2012 have used the anesthetic pentobarbital. Lundbeck, Inc., the Danish producer of pentobarbital, announced restrictions on its distribution to avoid its use in lethal injections. Recently, manufacturing rights were transferred to a U.S. company, Akorn, Inc., but restrictions on pentobarbital's use were to stay in place. This week, Texas announced that it will begin using pentobarbital in a new one-drug protocol for executions. Four other states have already used a one-drug procedure. Oklahoma, which had previously stated that it had only enough pentobarbital for one more execution, announced on July 11 that it had acquired 20 additional doses from an unnamed source.